Wow! Thirty weeks have flown by. Your baby’s eyes are now open for a fair amount of the day. A hefty head of hair may be seen as well. Your baby’s bone marrow has red blood cells being produced within it. His or her brain is continuing to grow and mature; additional furrows and creases are noted on the exterior. This gives your baby’s tiny brain tissue the necessary space to increase as baby matures after birth. Your baby will perform breathing actions while moving his or her diaphragm steadily. Your tummy may shudder when this takes place. Your baby is gaining weight and his or her frame is covered with a protective padding of fat. 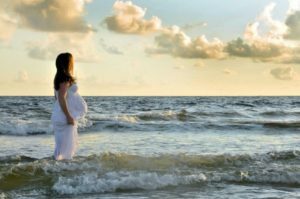 Around 30 weeks, speak with your health care team about the possibility of including two NSTs per week and one BPP with a Doppler Ultrasound every other week for the remainder of your last trimester. 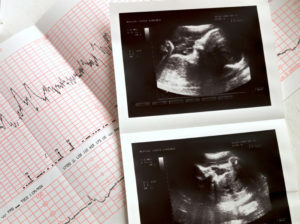 These vital check-ups will provide the opportunity to detect any problems, especially with your baby’s lifeline at this time: the placenta and umbilical cord. This foresight provides peace of mind for you and allows your health care team to make the right decisions for you and your baby.